I’m not much of a granola-eater unless I get around to making it myself. Something about most store-bought granolas, crackling with sugar like crisp toffee, makes the whole eat-healthy endeavor seem fruitless. But I do love some oats, nuts and other whole grains and whatnot in the morning. 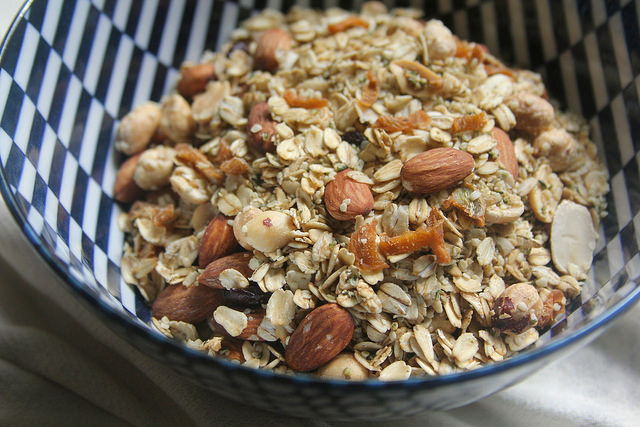 And the fact that you can use any combination and ratio of them when you’re making granola yourself.